AND STOP FIDDLING WITH COINS! 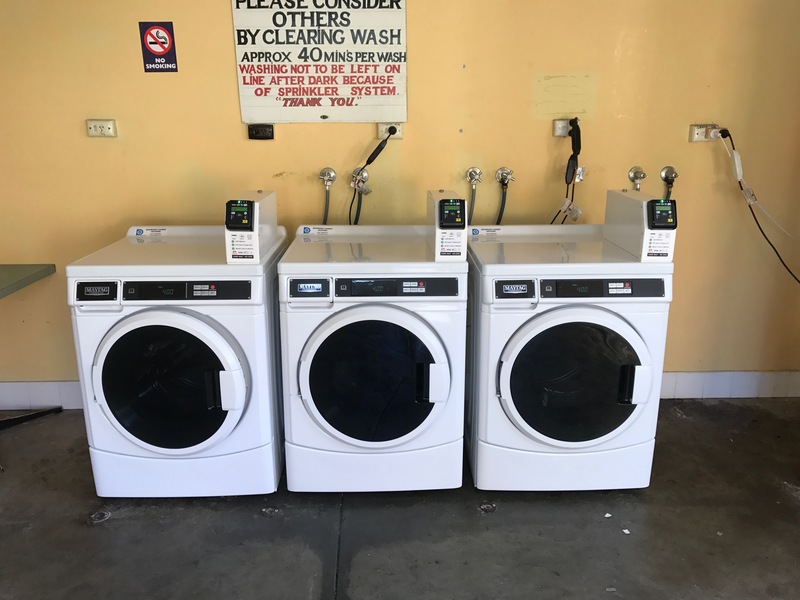 Dependable Laundry Solutions is proud to partner with one of the worlds largest Card Reader companies to offer you your new Maytag Commercial Washers and Dryers as fully Card Operated. 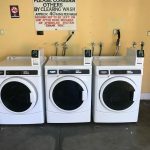 As an owner of coin operated laundries not only do have the worry of low-lives and vandals coming in and destroying your machines to get a few dollar coins, you are also wasting your time counting $1 and $2 coins and taking them to the bank. Our Card Only systems accept all major Credit and Debit Cards so that there is no coins on site and no temptation for thieves to break into your equipment. Full real-time online reporting comes as standard when you set your Washing Machines and Dryers up as Card Only, giving you the completely confidence that every last dollar that passes through your machines are ending up in your bank account, something you can never be sure of if you are not on site counting the coins yourself. 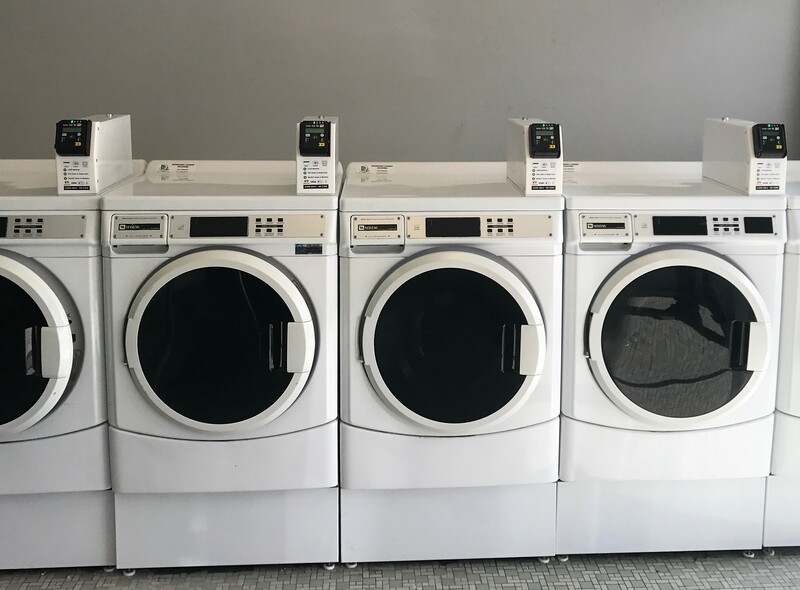 Order your New Maytag Commercial Units as Card Only, and we will fit your New laundry equipment with everything they need including the Reader, Modem with its own sim card and mini aerial for reception. 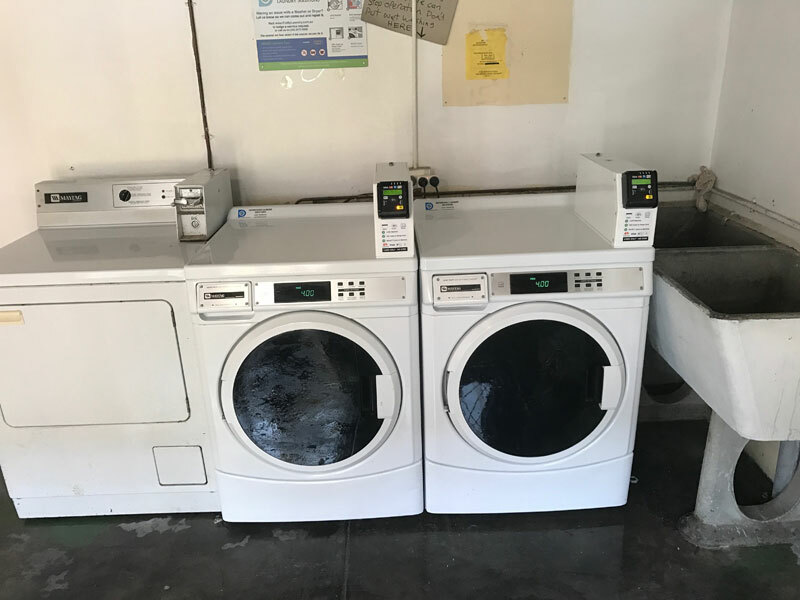 Once you get the machine you just need to hook it up to power, water, drainage or fluing as usual – No extra power, WiFi, phone lines or antennas are needed, everything is built into the machine. Everybody has a credit or debit card in their wallet, but how many people are still walking around with a pocket full of coins? Not many… Upgrade to Cashless and accept the payment methods your customers are actually using. Avoid Break-Ins and Vandalism! No coins in your machines means no thieves attempting to bash their way in and steal them. Enjoy full accountability with online income reports! Never worry about accounting again. View transaction reports securely online. PLUS settlement reporting, cycle information and more. Click above to organise a demo. Just enter your details, and we’ll be in touch! What Cards does your card reader accept? 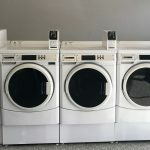 Our Card activated Washing Machines and Dryers will accept all major payment types - Credit / Debit Cards, MasterCard, Visa, Apple Pay, Android Pay or any other NFC (Contactless) Payment options. 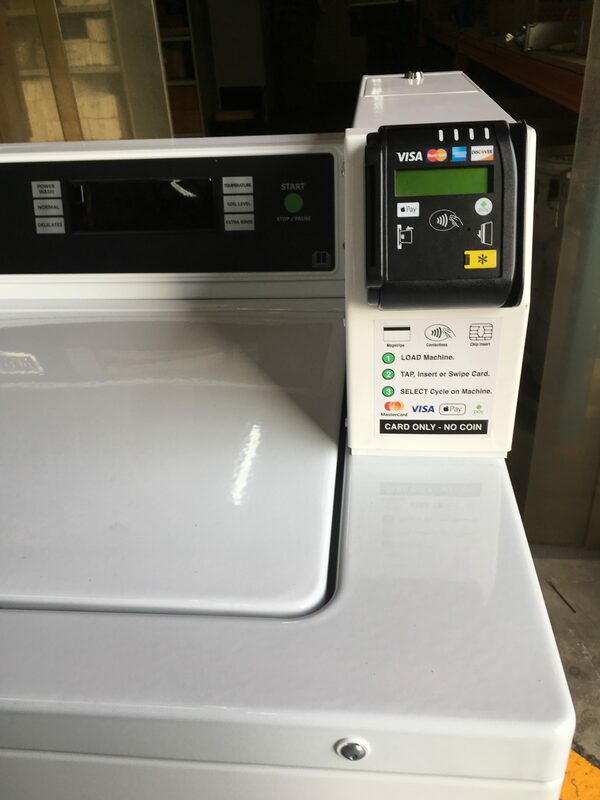 The end laundry user can Swipe, Insert or “tap” there payment. Can my machine do Cash and Card? We set up our card reader systems for Coin only or Card Only, you cannot have both. With most people upgrading to Card Only for greater security, less vandalism, full online reporting and to avoid having to count and collect coins, going both Coin and Card defeats the purpose of upgrading. What if somebody doesn’t have a card? 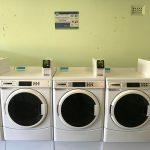 While most people have a bank card out of necessity these days, if your laundry user does not have a card to use we recommend they purchase a Prepaid VISA from their local post office which they can re-load money onto to use for their laundry needs. 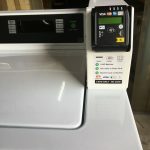 If I buy a new Coin Operated Washing Machine, how do I fit the Card Reader? 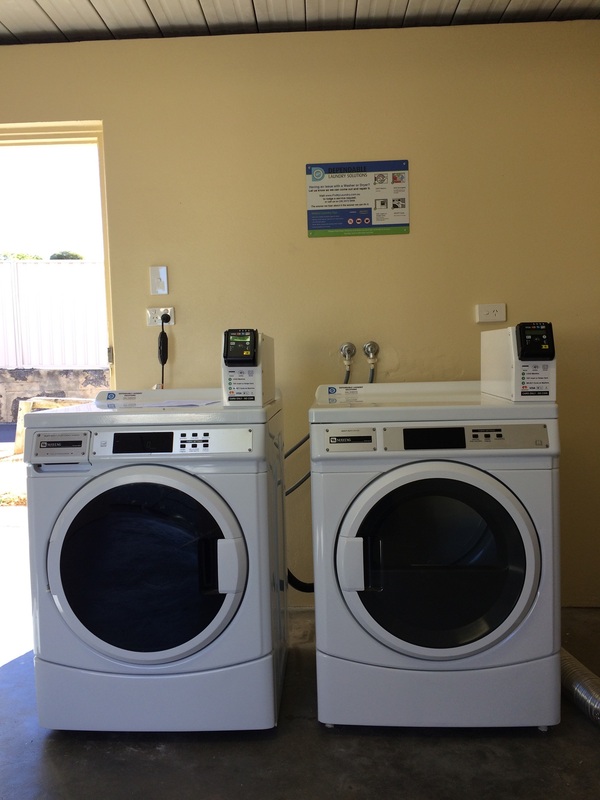 When you ordered your New Commercial or Industrial laundry equipment just ask for it to be Card Only, and it will arrive to you pre-fitted with card readers from any of our Warehouses Australia wide, you do not need to do anything or set anything up, just plug in your washer and dryer and off you go. 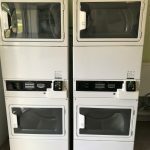 I already have a Maytag Commercial machine; can I add a Credit/Debit Card Reader to it? 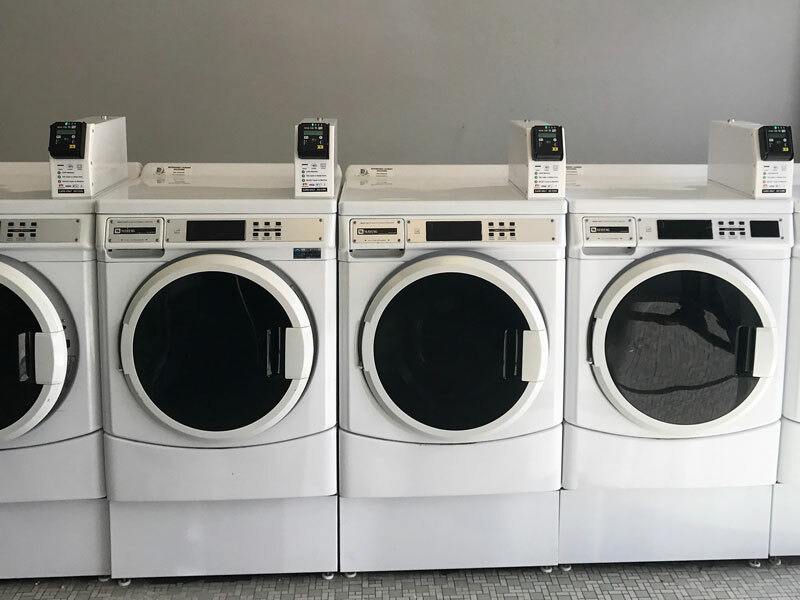 Yes, any Maytag Commercial or Industrial unit with a Digital Display can be converted to Card Only these model numbers will usually also end in “PD”. 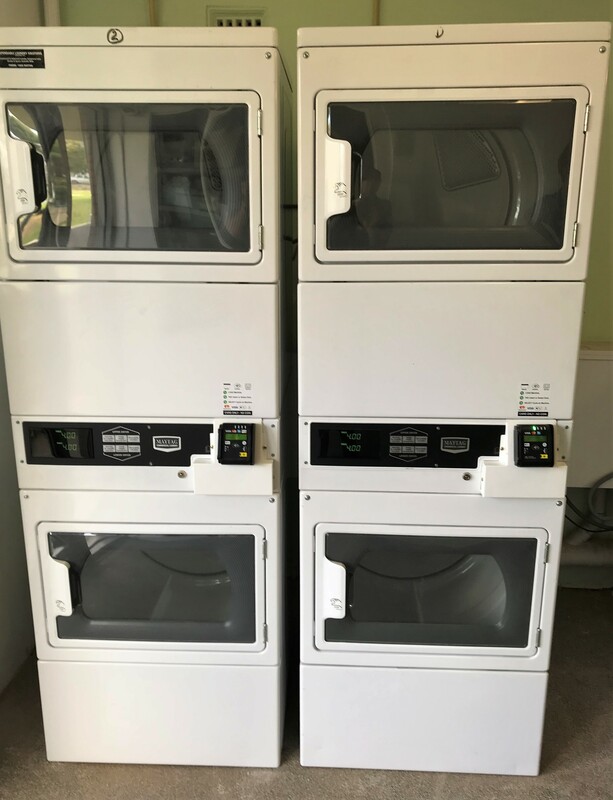 We sell a complete retrofit kit so you get everything you need to convert your Coin Op washer or Dry to Card, including Card Reader, Modem, Simcard and Custom Fabricated Mounting plate. Do I need an extra power point? No. 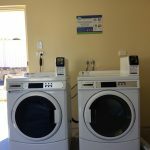 our card readers have a custom harness designed by an Australian Electronics Company which will plug straight into your Commercial Washer or Dryers Main control board and draw power from there. No extra Cords or cables required. What about WIFI or Phone lines, what do I need? You don’t need to worry about anything else aside from what is supplied with these Card Readers. Each card reader and modem comes with its own Data Sim Card, which keeps the card reader online and ready to accept payment at any point in time. This is the same Sim Card as you have in your Mobile Phone, so if you have phone reception your card reader will work. 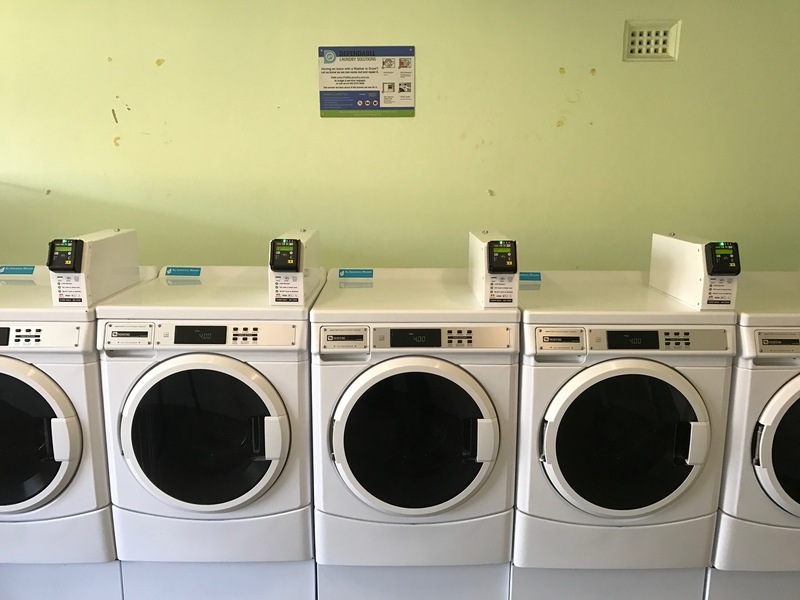 We do not use a Wifi or LAN Network due to the frequent internet issues and modem drop outs, if your modem decides to shut down you lose every washer and dryer connected to it in your laundry room. Worse case if you have a sim card failure, you lose that one machine and the one next to it keeps working independently and making you money. What Is the difference between a Merchant and Payment Processor? In simple: A lot. They both do very different things and you will need both to accept payments into your bank account. The payment Gateway is the processor who authorises the Credit Card payments and securely processes them to your Merchant Account/ Facility. The merchant facility is a specific type of account for accepting online payments and facilitates the authorisation, settlement and transfer of funds between your customer’s card and your business bank account. Our third-party payment processor covers both fees so you do not need to worry about sourcing your own. If somebody is quoting you make sure they are quoting both the Merchant and Gateway to prevent any hidden fees popping up down the track. Are your Credit / Debit Card System Secure? Yes, we have partnered with one of Australia’s Largest Payment Processing companies who are independently audited and accredited as a ‘Level 1 PCI DSS Service provider’. PCI DSS (Payment Card Industry Data Security Standards) is a set of strict comprehensive requirements created by the card schemes, intended to ensure and regulate the security of sensitive payment card data. Customer selects their Wash or Dry service and presents their card for payment (swipe / tap or chip insert). Transaction is sent to the online gateway for processing. VA Securely encrypts the transaction data and submits to the acquiring bank for real time authorisation. Response is sent to machine and if approved, wash or dry is started! Business owner can view real time transaction and settlement reporting, cycle information, etc from the Vending Management system. In a remote environment? No worries! Our Card Readers work in any site with 4G mobile service or wifi connection. Studies have proven that consumers usually spend 30% MORE when using card for vending purchases. Get the competitive edge! Many laundries are still coin operated. Virtually every retail outlet across Australia has trained customers to use credit or debit card to pay for their purchases. But in coin laundries, this isn’t an option. It used to be that technology wasn’t available or was too expensive, but times have changed! Why on earth would you keep your system at odds with the way people buy? Now is the time to upgrade your equipment to ensure you can accept the payment methods your customers are actually using – PayWave, PayPass, Apple Pay and even Android Wallet! With our Bolt on Card reader kits all you need is 30mins and a screwdriver and you can DITCH THE COINS FOR GOOD!